Can You Sue If Your Car Accident Was Caused By Poor Road Conditions In Maryland? Many accidents in the U.S. are caused by poor road conditions. 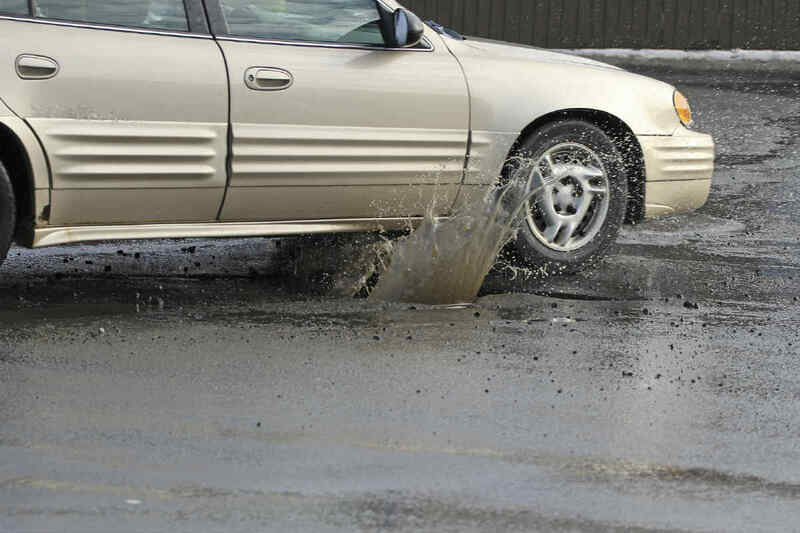 Holes, a faulty design and the erosion of the road can represent safety hazards. If you were involved in a car accident caused by the road conditions in Maryland, you may be able to sue and recover damages. As this type of claim is more difficult than claims against an individual or an insurance company, you must be prepared to fight for your rights. Your personal injury lawyer in Maryland will advise you and help you prove road maintenance negligence in MD. The first step in case you were involved in a car accident caused by the road conditions is to establish who is in charge of that road. Sometimes, the responsibility of a road is shared between several governmental agencies and you need to find out exactly which agency was responsible for dealing with the hazard that caused your accident. When you figure out who is responsible for the car crash, you need to prove that they were negligent in maintaining the road and that your accident was caused by their negligence. Your Annapolis injury attorney will gather all the evidence to prove that the agency could have repaired the road but chose not to or that they built the road in a faulty manner. To show that your accident was caused by a specific problem on the road may prove tricky, especially if you don’t have any witnesses. However, even if nobody was present at the time of the car crash, you can still have a shot at recovering damages with the help of your Annapolis injury lawyer. The main problem with governmental agencies is that most of them have immunity and cannot be sued. However, it is also true that, in most agencies, there are exceptions to this rule and negligence in maintaining a road is one of the exceptions. The other problem is the statute of limitations which, in those cases, is very short – only 6 months to 2 years. But with the help of a top personal injury lawyer from Maryland, you can tackle those problems and fight to recover damages for your injury. If you were injured in a car accident caused by negligence in the road maintenance, contact an Annapolis injury lawyer and see if you can recover damages. Call us at (443) 569-3950 or write to us at [email protected] to receive a free consultation of your case.